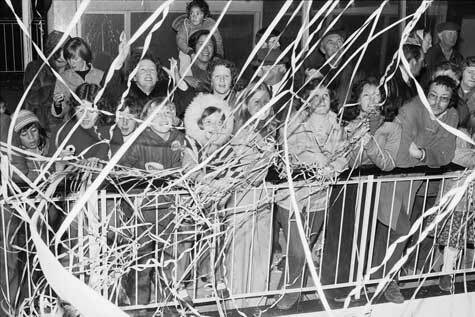 These Cantabrians are waving to the Rangatira, the last ferry to leave Lyttelton, in September 1976. For over 60 years the Union Steam Ship Company’s ferry between Lyttelton and Wellington was the main transport link across Cook Strait. The overnight trip was an institution, but eventually airlines and rail ferries running between Picton and Wellington provided quicker travelling options.